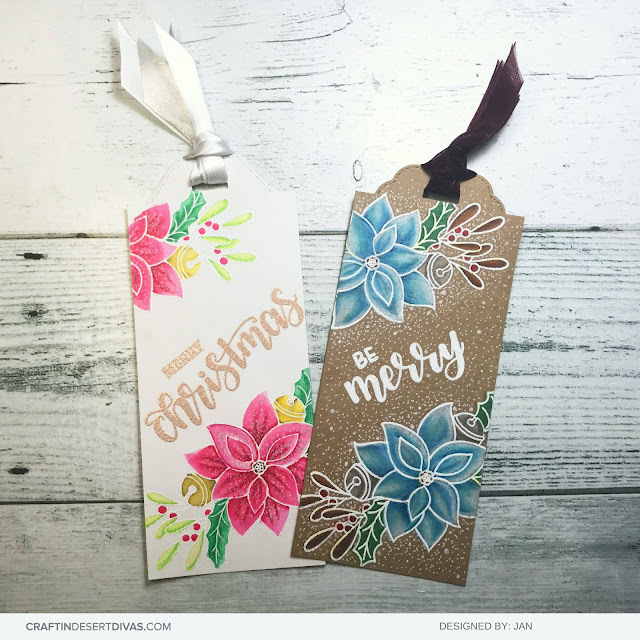 Craftin Desert Divas Blog: Handmade Holiday Tags! 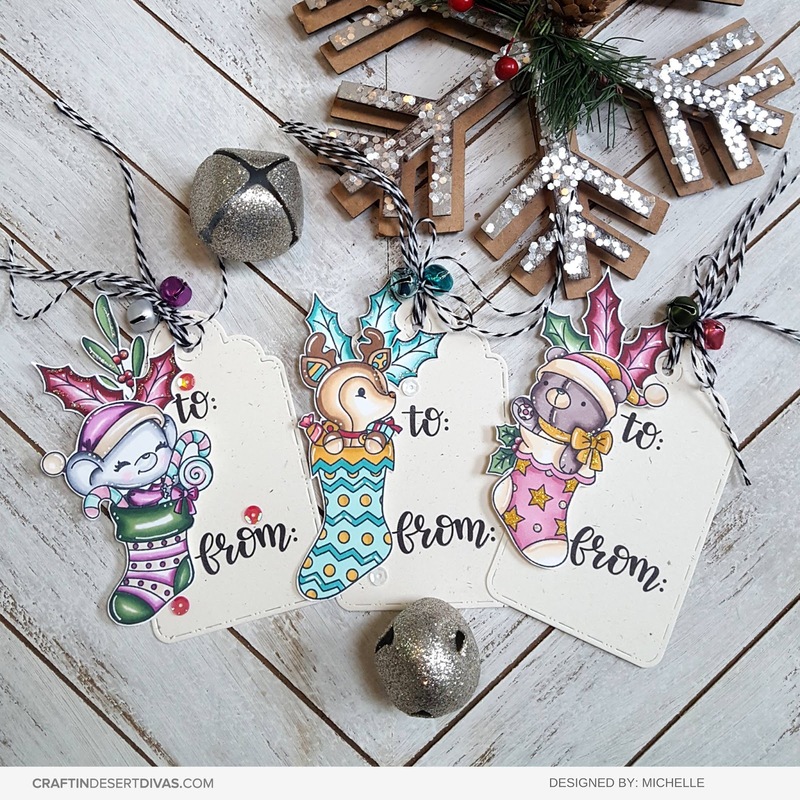 Today we are sharing all different types of holiday tags to give you some ideas for the upcoming holiday season! 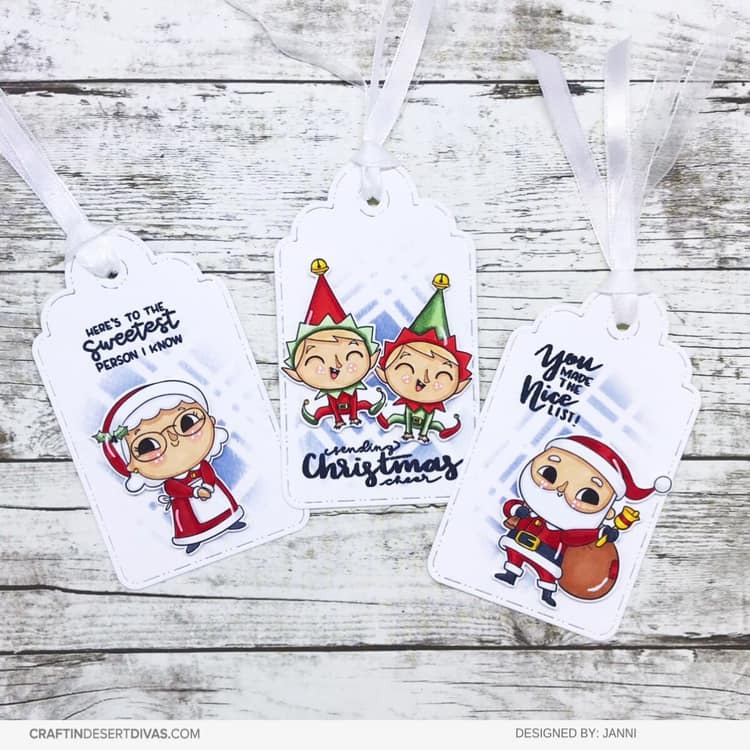 They are an extra touch you can easily add to presents to make them feel more personalized. 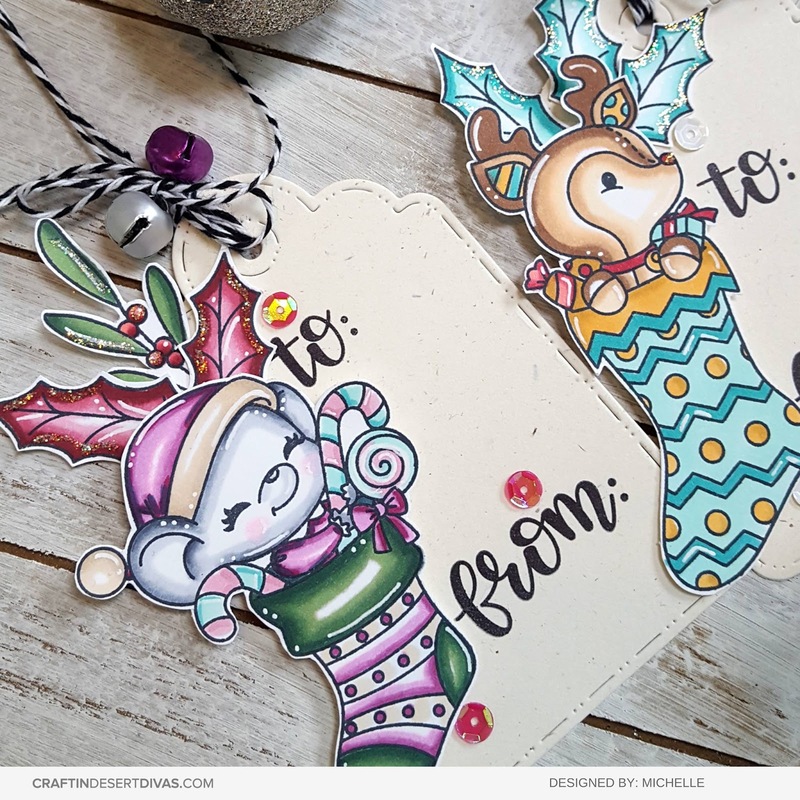 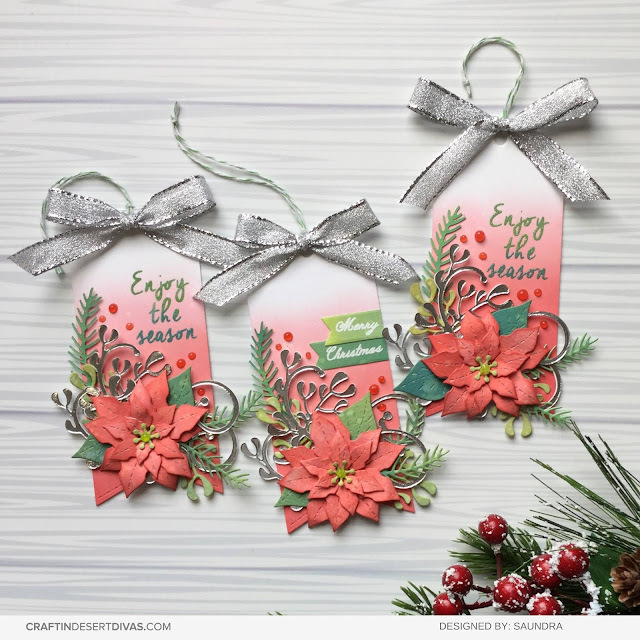 Michelle's tag are showcasing our Stocking Stuffers stamps and Tag It Dies. 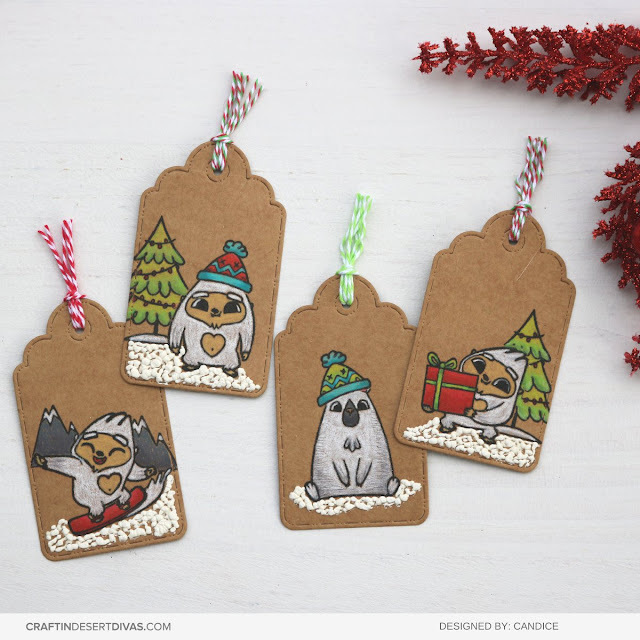 Candice tags are sharing our new Winter Yetis stamps and Tag It Dies. 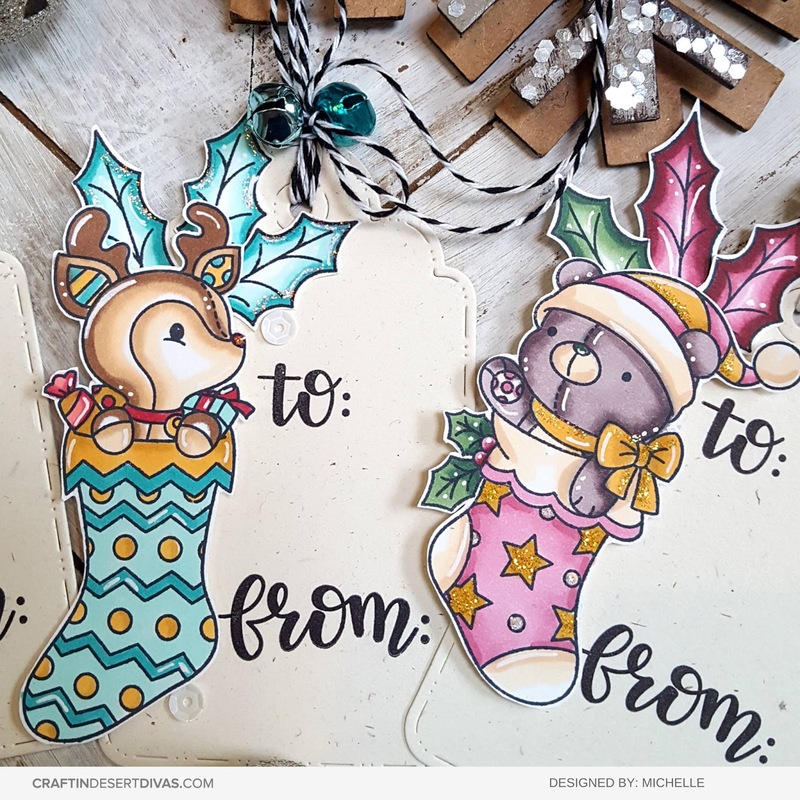 Janni's sweet tags are sharing our Christmas Time stamps, Sorted Shape 2 Stencil and Tag It Dies. 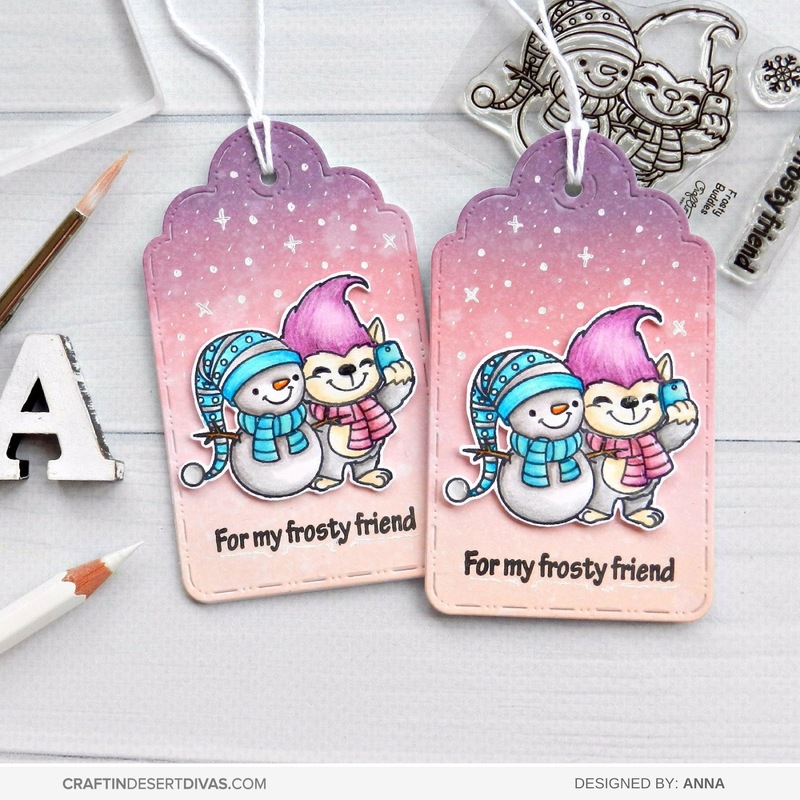 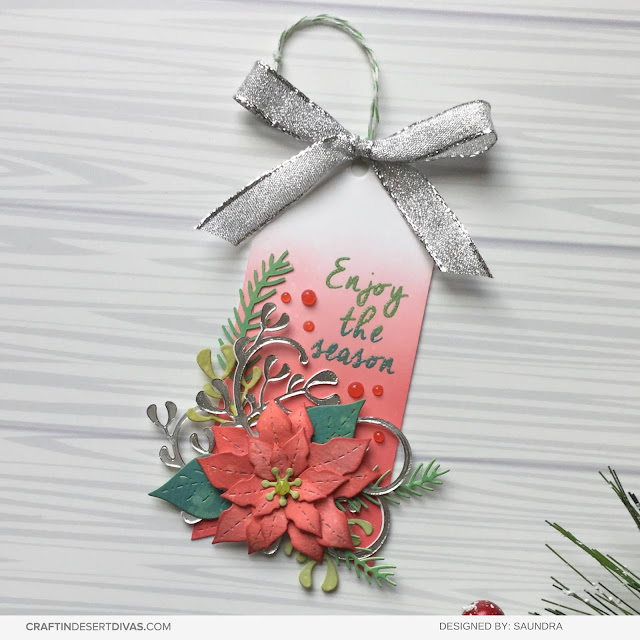 Anna's tags are the cutest and sharing our Tag It Dies and Frosty Buddies stamp set which is an exclusive release freebie. Hope this inspires you to make your own holiday tags.